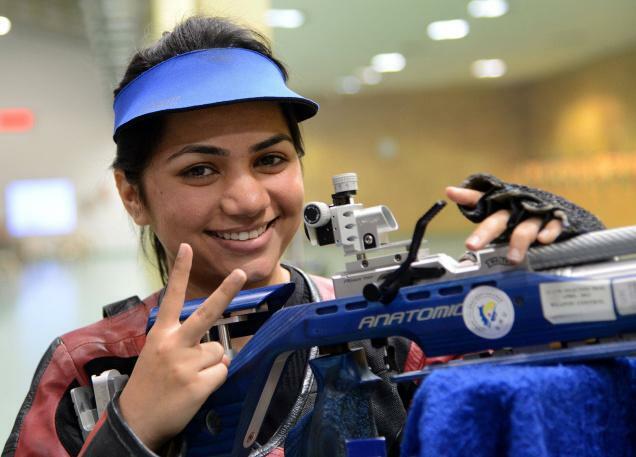 Apurvi Chandela won the women’s gold in air rifle in the 59th National shooting championship on Tuesday. Geetakshi Dixit clinched the silver, one point behind Apurvi. In a lively final, it was Anjum Moudgil who led throughout before she stumbled with shots of 9.6 and 9.9 that left her clutching the bronze medal. Apurvi had a 0.4 point lead over Geetakshi before the last two shots. Apurvi responded with shots of 10.0 and 10.6, while Geetakshi delivered the first shot that was not a 10 in the final.